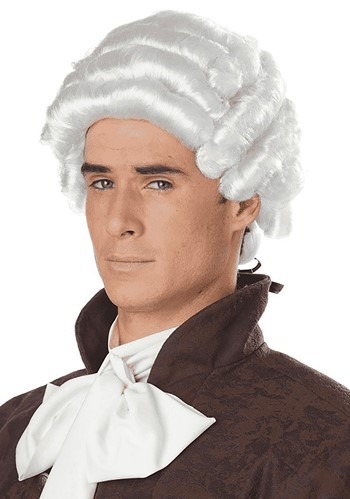 Back in ye old colonial days, you didn’t have to worry about pesky things like getting a hair cut every three weeks, or the onset of male pattern baldness, or even having to wash those long locks on a regular basis! All you had to do was get yourself a fine wig, some powder, and boom: You were looking right and tight! Ignore the photo in the description (that looks like a mess!) the wig looked great, was comfortable, and a great value.